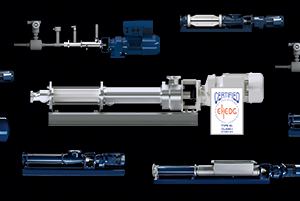 At CHEMUK 2019 stand M5 (1-2 May, Harrogate), progressive cavity pump supplier SEEPEX UK will showcase its new hygienic pump range. The BCFH range is the first to be certified by the European Hygienic Engineering and Design Group (EHEDG) under its new testing regime. Certification guarantees residue-free cleaning at a lower temperature, with lower chemical concentration and a shorter cleaning time than other cleaning-in-place (CIP) solutions. As well as giving end-users peace of mind that their closed equipment is microbiologically clean, equipment designed to this standard typically requires 76% less cleaning time compared to other CIP solutions, saving on water, detergent and energy. Not only does the BCFH range adhere to these strict safety and hygiene requirements, it does so without compromising product quality. Thanks to their low shear action, SEEPEX’s PC pumps do not affect a product’s physical quality – even sensitive, viscous or aggressive media. Visitors to the SEEPEX stand can also learn about the company’s Smart Dosing Pump (SDP). With an integrated control system delivering low pulsation flow and metering accuracy of ±1%, the SDP can be easily integrated into continuous or batch dosing systems. In addition, dry running and over-pressure sensors feed back to the drive to protect the pump from damage, helping to increase service intervals and the lifespan of the product. 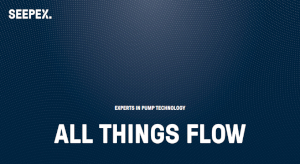 The SDP provides all the benefits of a traditional PC dosing pump with enhanced control options, future proofing your dosing system and resulting in less chemical usage.